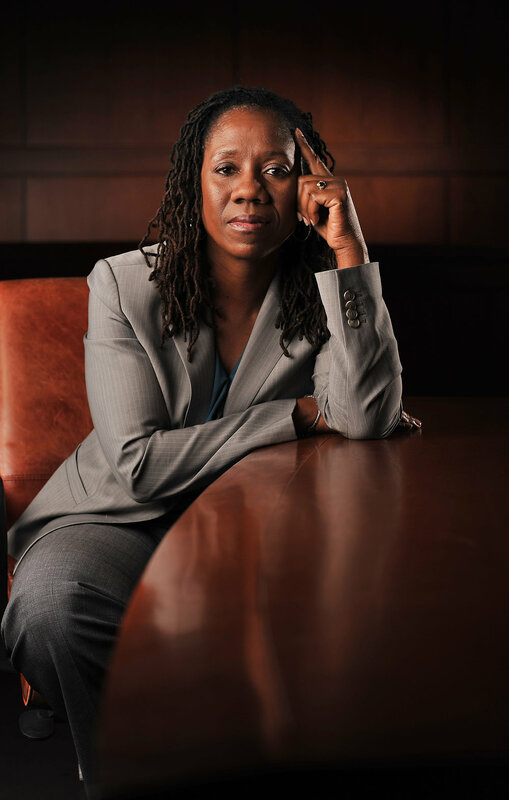 Sherrilyn Ifill is the seventh President and Director-Counsel of the NAACP Legal Defense and Educational Fund, Inc. (LDF), the nation's premier civil rights legal organization. LDF was founded in 1940 by legendary civil rights lawyer (and later Supreme Court justice) Thurgood Marshall. Ifill served as an Assistant Counsel for LDF from 1988-1993, litigating voting rights cases in the south. She left LDF to teach at the University of Maryland School of Law in Baltimore, where in addition to teaching in the classroom, she litigated civil rights cases alongside her students and served as consulting counsel on a variety of complex class action cases. While at Maryland she developed an environmental justice clinical offering and co-founded one of the first legal clinics in the nation focused on removing legal barriers to formerly incarcerated persons seeking to responsibly re-enter society. Ifill returned to lead LDF in 2013, and has emerged as one of the nation’s leading voices in the struggle for racial justice and equality, and has positioned LDF at the forefront of the nation’s most important civil rights battles. A critically acclaimed author, her scholarly articles and her 2007 book “On the Courthouse Lawn: Confronting the Legacy of Lynching in the 21st Century,” reflect Ifill's lifelong engagement in and analysis of issues of race and American public life. Ifill graduated from Vassar College in 1984, and from New York University School of Law in 1987, and has received honorary doctorates from Fordham Law School, New York University and CUNY Law School. Ifill serves on the board of the National Women’s Law Center, Equal Justice Works, and the National Constitution Center.